Boat Description The side console Super Guide V-14 SC DLX offers ruggedness, room and Deep V stability in a compact, easy-to-own fishing boat package. For those who want the convenience and comfort of steering their boat from a console with windscreen, this compact, highly maneuverable model offers lots of fishing features and value. Its Deep V hull offers a wide, stable fishing platform, elevated bow deck and aft casting area and two movable seats. 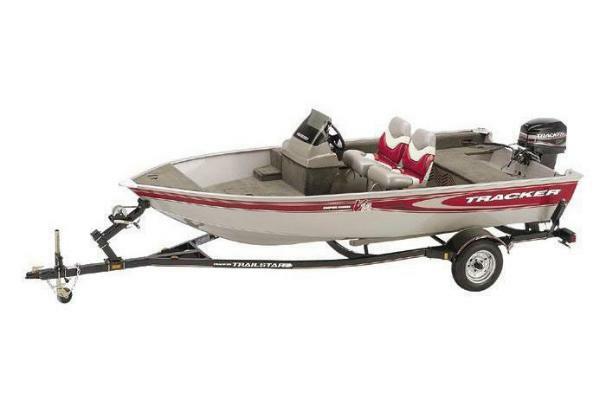 There`s ample storage below deck plus lockable rod and gear storage on the sides. Package includes Mercury Pro Series outboard, 9-gallon livewell plus custom trailer with EZ lube hubs and GalvaShield protection.